AEIOU Kids Club is here to offer you the best Kids Parties in the UK. We can offer the best Kids Party entertainment for your birthday parties, children’s themed parties, corporate events, school parties, community parties, christenings, weddings, baptisms, Christmas Parties, Halloween Parties, toddler parties and even parties for 1 year old. We have professional children’s party entertainers committed to make your children’s parties truly amazing! We are everywhere in London, Manchester, Liverpool and Birmingham, and you can hire us not only for your parties at home, but also for kids parties at schools, shopping centres, nurseries, and so on in several cities including Hodge Hill, Ladywood, Hall Green, Perry Bar, Selly Oak, Yardley, Nothfield, Sutton Coldfield, Boldmere, Birchfield, Rednal, Hawkesley and many more. Take a look at our children’s party hire and contact us for a complete info about our Kids Party Entertainment and prices. 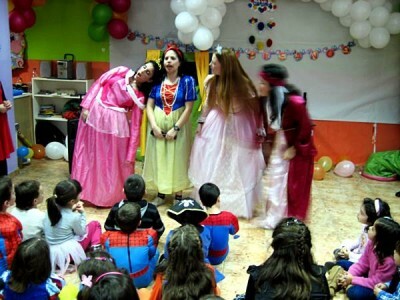 Our Kids parties were carefully planned to make your children’s parties a huge success. We can enthral all the kids in the party spirit, even the shiest one to make sure every kid will enjoy your kids party. Our professionals are very passionate and they will do everything to ensure the entertainment of your kids party. 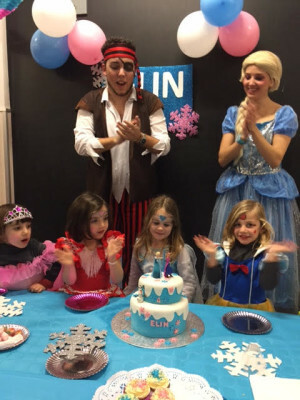 You still can hire one of our party packages to guarantee the success of your kids parties, including: Classic children’s party, themed parties, Christmas parties, Halloween parties, magic shows, clown shows, toddler parties, parties for 1 year old, party decorations, mascots, bouncy castles, catering, and everything to set up your kids parties. So, choose the one that best fits you and contact us for kids party hire. Birthday Parties– These parties are very important but difficult to plan by yourself. Now you can hire us and we can set them up for you. We have fun activities to make your kids parties just great (face painting, games, singing, dancing, balloon modelling, storytelling, magic tricks, clowns and more). Toddler parties and birthday parties for 1 year old– These parties usually bring lots of concerns, but fortunately we are here to plan them for you. Our professionals will play with your toddlers to make your kids party fun and peaceful. Christenings – Christenings and baptisms are always special parties. To make your kids party memorable we have lots of amazing ideas to give you. 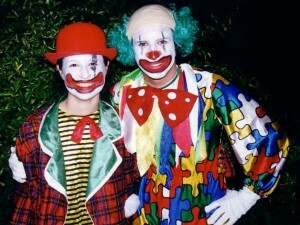 What about our Clowns for hire? Or our Magicians for hire? Weddings –The best way to keep children entertained during the reception is hiring professional entertainers to play with them. 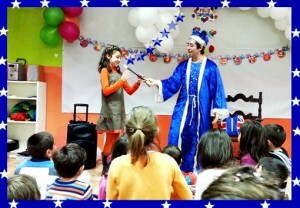 Our entertainers for kids parties will make your kids have fun and you will be able to enjoy your perfect wedding day! And best of all, we have cheap kids party! School Parties – Hire one of our shows for your school party and I am sure every kid will spend a great time. Clown shows, Magician shows, science shows, Santa Claus for hire, our Elves, and many other characters to make your kids parties UNFORGETTABLE! Corporate Parties– If you are going to give a corporate party, you couldn’t be in a better place. Give your kids lots of fun activities during your party and surprise them with a puppet show and a clown show! Grand Openings– There is no other day so important than this one for your business, that’s why you need to ensure everything‘s goes perfect. Hire our magicians, or our clowns and I am sure your party is going to be a huge success. Christmas Parties– Giving a Christmas party is perfect to give your kids the true spirit of this season. 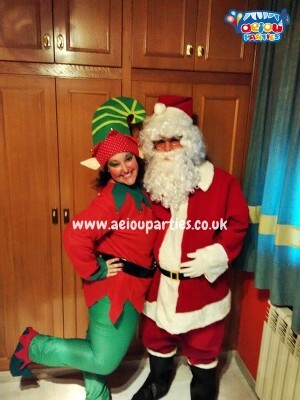 Our kids parties are great and our Elves and Santa Claus for hire are waiting for you! Halloween Parties– Halloween is one of the favourites among the kids and we can make it even better with our trick or treats activities, face painting, horror storytelling and more to make your kids parties simply amazing! 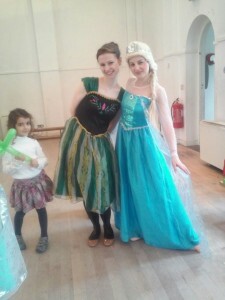 Themed Parties– Kids love themed parties and there are no others like ours. You can choose among Princesses, Pirates, Dinosaurs, Clowns, Superheroes, Frozen and many more that you can hire for your children’s party. Contact us for further info and prices. Community Parties– If you are planning to give a community party, you certainly need some help. We have all that you need for your children’s parties. We will help you plan your kids parties to make them the best in the town. And all your party essentials. AEIOU Kids Club – The best Kids Party! AEIOU Kids Club works in Birmingham, Manchester, Liverpool and London. We want to become the best kids party company from the UK. That’s why our entertainers are DBS checked and we assure you there aren’t any more passionate than them. Everything to make your kids parties just memorable! You imagine and we make it come true. AEIOU Kids Club will make your kids party the best one in the town, so great that everybody will like to give one like yours. Contact us and hire now one of our services and we make your dreams’ Kids Parties become real!